PARIS/TOKYO -- France's finance ministry denied a report that it was open to considering reducing Renault's stake in its alliance partner Nissan, as the Japanese automaker continues to try to limit its controlling shareholder's influence on its governance. 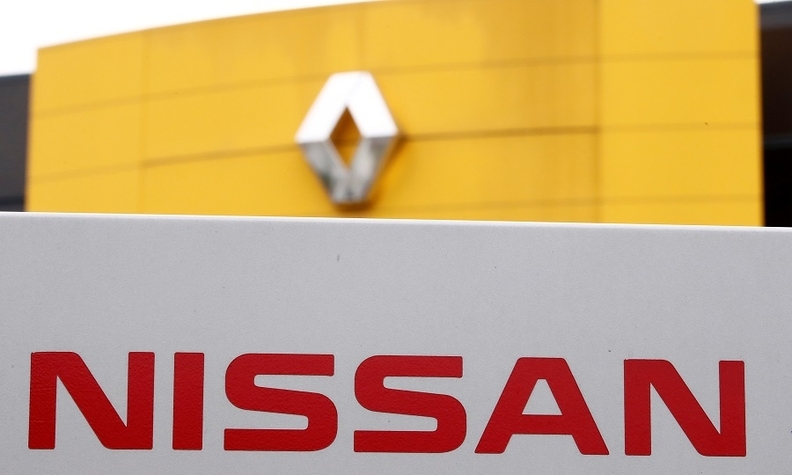 The French government would consider reducing Renault's stake in Nissan as part of a broader review of the capital relationship between the two automakers, the Nikkei newspaper reported, citing Japanese government sources. France appears to be showing flexibility in an effort to smooth the way for Renault's new chairman, Jean-Dominique Senard, to be appointed Nissan's chairman, the paper said. An official in Paris said the French finance ministry "categorically" denied the report to Reuters. The French government is Renault's largest and more powerful shareholder with a 15 percent stake, which gives it influence over decisions that affect Nissan. Renault has a controlling 43 percent voting stake in Nissan, which has no reciprocal rights with its 15 percent stake in its French partner. Under various clauses in the agreement that governs the companies' alliance, Nissan could raise its stake in Renault to 25 percent from the current 15 percent, and dilute Renault's voting rights. Former Renault-Nissan alliance leader Carlos Ghosn was the chairman of both automakers, along with third alliance partner Mitsubishi Motors, before his arrest on Nov. 19 over alleged financial misdeeds. Nissan is ready to appoint a new Renault executive to its board but not quite ready to let Senard follow in Carlos Ghosn’s footsteps as chairman of the whole company. Nissan said this week it picked April 8 as the day for shareholders to vote Ghosn, its former chairman, off the board and vote on Senard, the former CEO of French tiremaker Michelin CEO who was appointed Renault's chairman on Jan 23. Behind the scenes, questions are mounting about whether Senard will also get the nod to chair the board. The French government has indicated it wants to exercise Renault’s right as Nissan’s top shareholder to name a Nissan chairman, CEO or COO. Hiroto Saikawa is currently CEO, and Senard is seen as a contender for the chairmanship. But Nissan is leaning against a proposal for one executive chair for both Nissan and Renault, a person familiar with the matter told Automotive News. Ghosn had chaired both since 2009. "Nissan's position is negative about this idea," the person said. "Having one single chairman may result in governance issues, especially when there are conflicts of interest." Nissan will cement its stance on the matter after hearing the recommendations of a committee that is currently studying ways to improve corporate governance, the person said. That committee was set up last year and aims to present its findings by the end of March. Up for discussion is reconfiguring Nissan’s board, possibly by changing the number of directors. Nissan then plans to hammer out a plan for corporate governance reform so that it can be voted on at a regularly scheduled annual shareholders meeting in June. The timeline will allow for Senard to participate in the overhaul, Saikawa has said. Saikawa has also said decisions on the scope of the chairman's role will be based on the reform committee’s recommendations. Saikawa blames a concentration of power in one man, Ghosn as chairman of both companies for several years, for creating the environment that led to his former boss’ alleged misdeeds. Wrangling over the chairmanship of Nissan could be a friction point between Renault and Nissan as the partners try to rebuild trust that was shaken by Ghosn’s shocking arrest and allegations of misconduct. Both companies have said they want to return to business as usual, but looming discussions about reconfiguring the 20-year alliance could make that difficult. Hans Greimel in Tokyo, Reuters and Bloomberg contributed to this report.